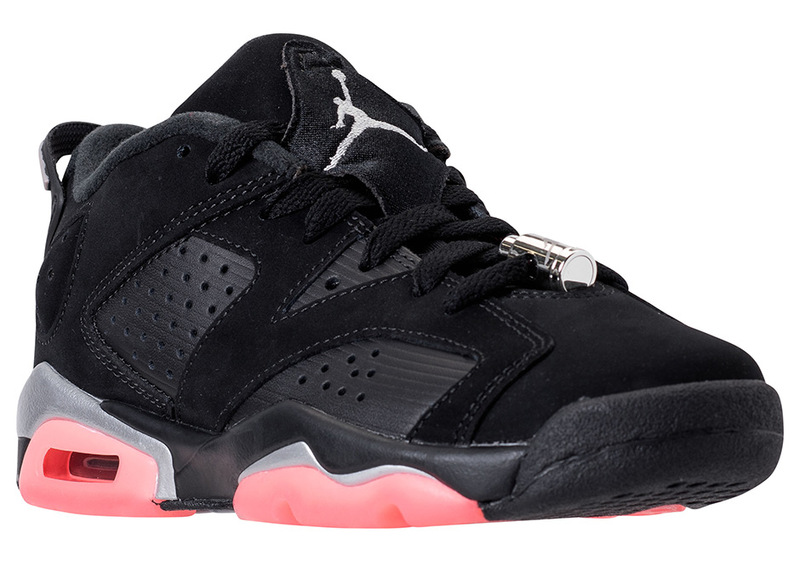 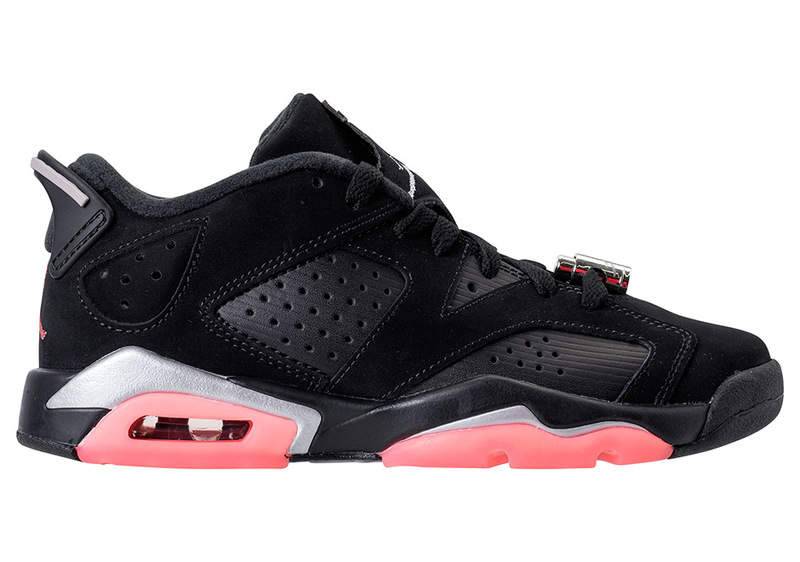 After appearing on the Air Jordan 5 for girls in August, “Sun Blush” is back on another Air Jordan retro exclusively for the young ladies, the Air Jordan 6 Low. 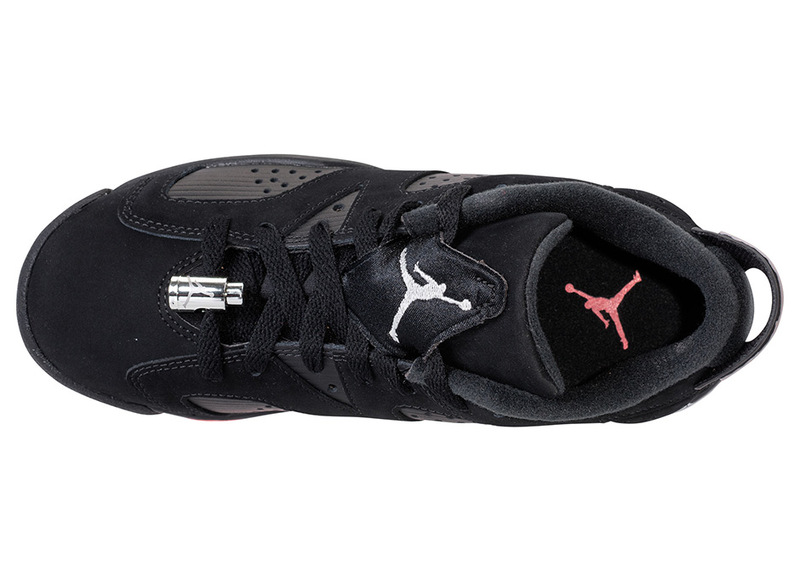 The low-top sneaker features an all black upper in stripe-textured synthetic leather and synthetic nubuck overlays, with chrome accents and the bright shade of pink utilized for the translucent portions of the outsole. 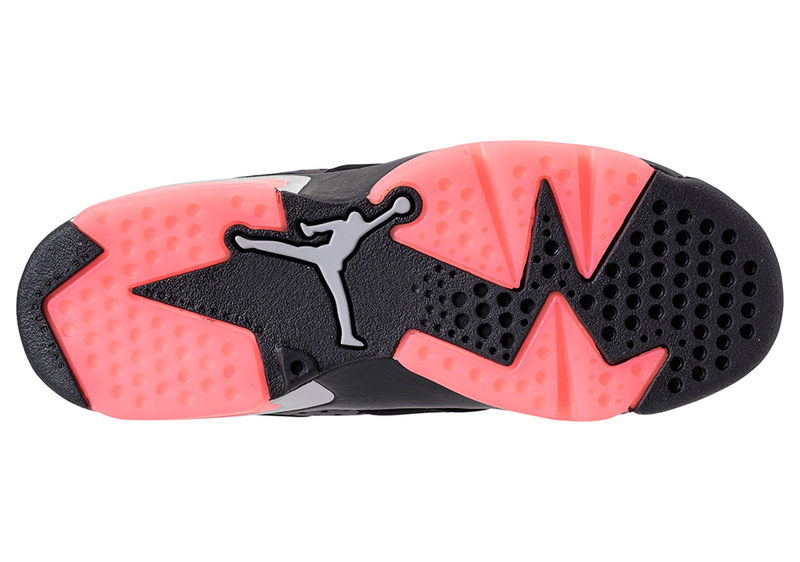 Girls can pick up pairs beginning September 23rd at select Jordan Brand retailers.